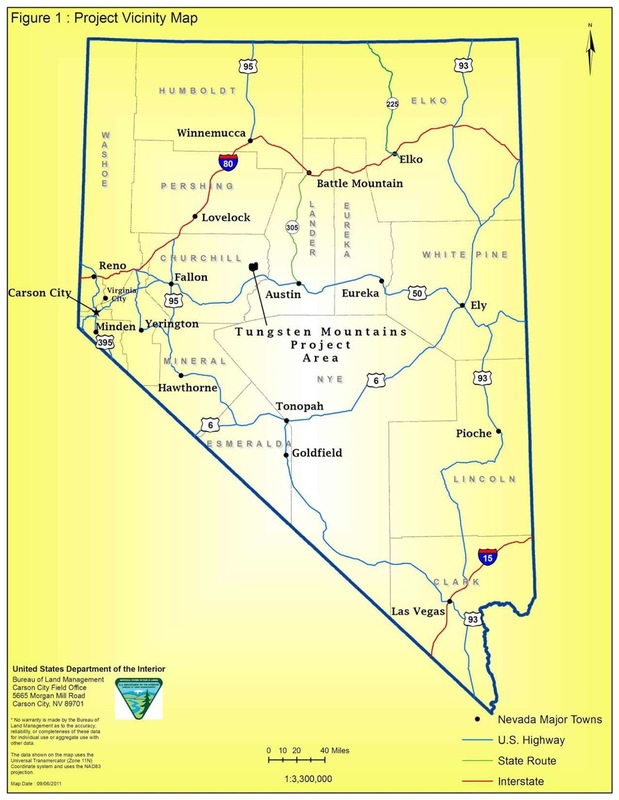 The Bureau of Land Management (BLM) has completed a draft Environmental Assessment (EA) and is seeking public comments for the proposed Ormat, Tungsten Mountain Solar Project in Churchill County, Nevada. Public comments will be accepted through December 14, 2018. The proposed project would consist of producing renewable energy to serve some, or all, of the Tungsten Mountain Geothermal Energy Facility’s parasitic power load (and is not considered a commercial or industrial scale facility). A copy of the EA is available in the Carson City District BLM Office and on the project webpage at https://go.usa.gov/xPFez during the 15-day comment period. Please send written comments to: Dave Schroeder, Project Lead, Stillwater Field Office, 5665 Morgan Mill Road, Carson City, NV 89701. 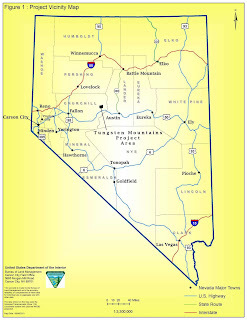 Comments may also be submitted electronically via the DEA webpage (under the “Contact Information” section), via email to blm_nv_ccdowebmail@blm.gov or via fax at 775-885-6147 with the subject heading “Tungsten Mtn Solar DEA”. Some interesting statistics for geothermal energy from the latest Electric Power Monthly from the U.S. Energy Information Administration (EIA). In the year to date to September 2018, the USA generated 12,477 Gigawatt hours (GWh) of electricity from geothermal resources, an increase of 5.4% on last year, from 2,499.3 MW of net capacity. Members of the GRC can now vote for no more than 13 candidates. All ballots must be "Submitted" and "Confirmed" by 11:55 p.m. on November 30, 2018 - today, Friday. All GRC members should have received an invitation to vote online or by mail. In six months’ time you’ll be able to jump into the UK's first geothermal heated lido – right here in Cornwall. 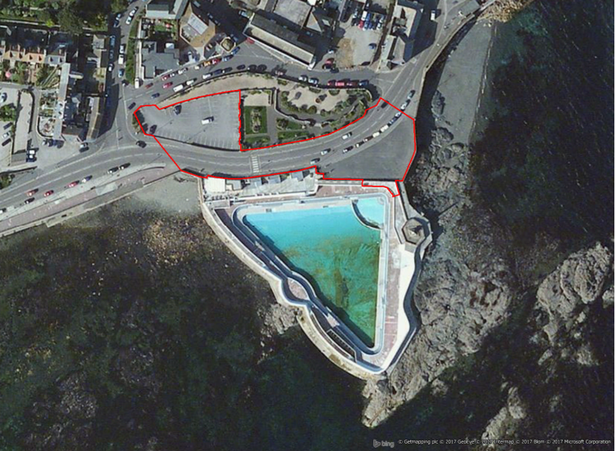 Penzance's iconic open air sea pool Jubilee Pool is due to open its eagerly-anticipated heated section at the end of May 2019, it has been revealed. And the pool is going to be even hotter than first expected. Geothermal Engineering Ltd (GEL), the company which has been drilling holes into the earth below Jubilee Pool to tap into the earth's natural heat, said it found a warm water 'geothermal vein' 410 metres deep into the rock. The hot water will now be tapped up to heat a section Jubilee Pool all year round. Speaking to Radio 4’s Peter Gibbs, Jubilee Pool Director Susan Stuart said it’s hoped the heated pool will be open to the public by May 26 – the first weekend of the summer half term holiday. Kizildere Clouds, by Umut Destegul Solaroglu. Kizildere Power Plant. "In the world, the highest percentage is 15. The reason we have 18 percent efficiency is because we use waste steam in a separate part of the plant. So, it contributes a lot to our productivity," Kındap said. This plant has set a precedent worldwide as the first in the world to use waste steam. 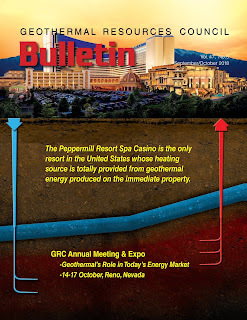 The November issue of the European Geothermal Energy Council (EGEC) Newsletter is now available. 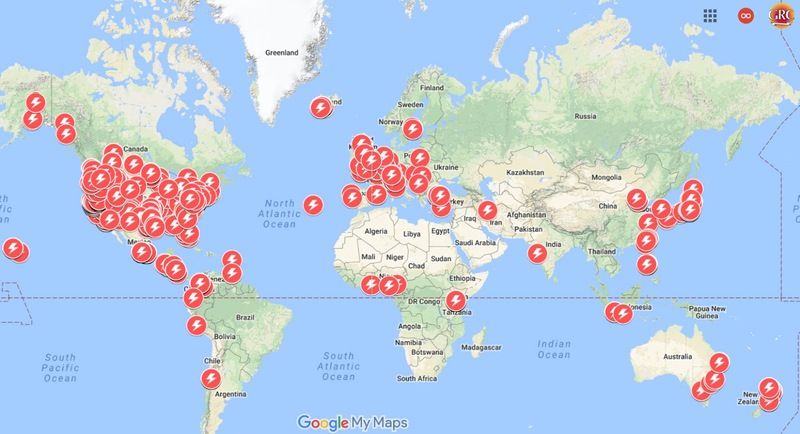 El propósito de los Mapas de Ruta Tecnológica es identificar los retos y las barreras que enfrenta el país para el aprovechamiento sustentable de las energías renovables al 2030. (From Google Translate) The purpose of the Technological Route Maps is to identify the challenges and barriers that the country faces for the sustainable use of renewable energies by 2030. On Monday evening, November 26, the House Ways and Means Committee unveiled its draft of the Taxpayer First Act of 2018, which would retroactively extend several dozen tax credits that expired at the end of 2017 as well as make additional technical corrections to the Tax Cuts and Jobs Act (comprehensive tax reform legislation enacted in December 2017). 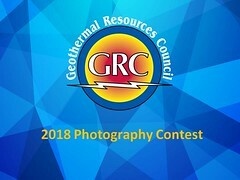 The legislation would extend the Production tax credit for geothermal (Sec. 45(d) and the ability to use the investment tax credit (Sec. 48) in lieu of the production tax credit through the end of 2018. With the momentum and success of the 2018 Yellowknife Geoscience Forum to build on, the Northwest Territories Geological Survey (NTGS) hosted some of Canada’s leading minds in a full day workshop on geothermal energy in the North. It’s a topic highly-relevant to the Northwest Territories (NWT). Oil and gas reservoirs often also hold geothermal potential as the locations in which each are found share a many similarities. Given the NWT’s well-known oil and gas reserves, geothermal is a natural step in the discussion. St. Vincent Geothermal Company Limited (SVGCL) and Jardboranir hf. (Icelandic Drilling Company, IDC) have today, November 29th 2018, signed a drilling contract for drilling 4 wells in St. Vincent and the Grenadines. The wells are intended to supply steam for the geothermal power plant SVGCL is constructing. The project aims to deliver a 10 MW geothermal power plant to the Caribbean island nation of St. Vincent & the Grenadines (SVG), transforming its energy sector, reducing its dependency on imported diesel, and providing a new sustainable and affordable source of energy based on an indigenous resource. The commissioning of the plant is expected to be in approximately 2 years. Europe: Geothermal Association Calls for More Heating and Cooling for Decarbonisation of the Energy System. Meeting attendees acknowledge the importance of heating and cooling (H&C) for the decarbonisation of our energy system. On 28 November 2018, policymakers and industry gathered at the Committee of the Regions for the High-Level Round Table on the Decarbonisation of the Heating Sector, a joint event organised by the European Commission and the Decarb Heat Initiative partners. The timing is right: on the very same day that the European Commission launched its Long-term Emissions Reduction Strategy, the topic of decarbonising heat received the attention it deserves. Being responsible for 50% of final energy consumption in Europe, addressing heat will be paramount for reaching a net-zero emissions economy by 2050 and needs therefore to become a policy priority for the EU. Making larger investments in energy innovation will make the United States more globally competitive, increase economic prosperity, and maintain America’s energy leadership position in the world, according to a dozen top business leaders in a new report released today. 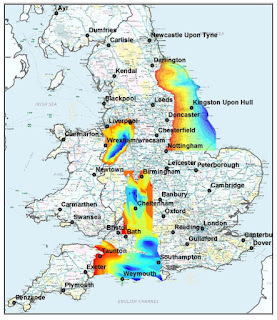 United Kingdom: Opinion - "There is considerable overlap in the technical skill-sets required to develop, execute and operate a geothermal project and that of an oil or gas development"
from shallow (red) to deep (blue). Have we now run out of excuses for not developing our geothermal resources? As the UK’s hydrocarbon resources decline, geothermal energy presents as part of the solution to fill the energy void. Conveniently, there is considerable overlap in the technical skill-sets required to develop, execute and operate a geothermal project and that of an oil or gas development, and opportunity exists for both industries to draw from a shared knowledge base. 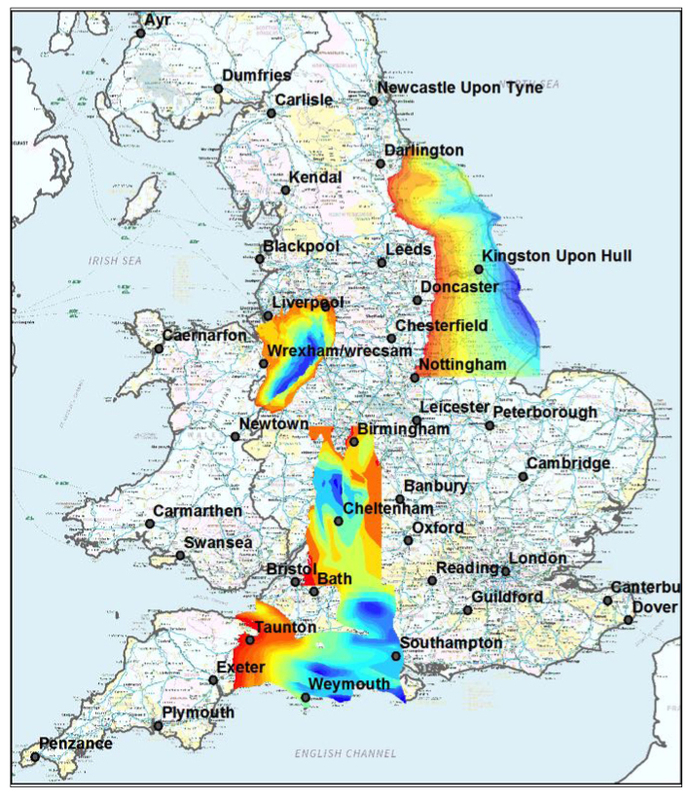 Dr Jon Busby, Geothermal specialist at the British Geological Survey discusses the potential for cutting carbon emissions for power generation and benefiting from the UK's considerable geothermal resources. In Garching an der Alz hat die zweite Bohrung ihre Zieltiefe von 3.837 Metern erreicht. Die erste Bohrung wurde bereits im September abgeschlossen und erfolgreich getestet. In Garching an der Alz, the second well has reached its target depth of 3,837 meters. The first drilling was completed in September and successfully tested. The deflected drill path covers a total distance of 5,025 meters until it reaches the target depth of 3,827 meters. The first drilling in September reached a depth of 3,832 meters. Subsequent tests showed that the temperature of the deep groundwater at 125 degrees Celsius is quite satisfactory. The flow of 105 liters per second meets all expectations. The Piancastagnaio geothermal plant in Siena has opened to the public to tell students and citizens how renewable energy is made thanks to guided tours, educational workshops, tasting of the gastronomic excellence of the territory and games for children. China aims to increase its installed geothermal energy capacity by 500 gigawatts by 2020. China Petrochemical Corporation (Sinopec), the country's biggest geothermal developer, vows to further develop geothermal energy nationwide and increase share of clean energy production, the China Daily reported Wednesday. The company has replaced coal with geothermal energy in 10 cities nationwide so far, said Ma Yongsheng, president of Sinopec, during the 2018 China Geothermal Energy International Forum in Shanghai on Tuesday. Sinopec, the world's largest refiner by volume, aims to replace coal with geothermal energy in 20 cities nationwide and boost its geothermal heating capacity to 120 million cubic meters by 2023, the newspaper said. China aims to increase its installed geothermal energy capacity by 500 gigawatts from 2016 to 2020, according to the 13th Five-Year Plan for geothermal energy released in 2016, the first such plan in this field. Tune in to episode 9 of ACTia's podcast as we host Sean Collins of Terrapin Geothermics! Scaling geothermal projects, navigating the regulatory environment, and transitioning to a clean economy are just a few of the topics we cover. 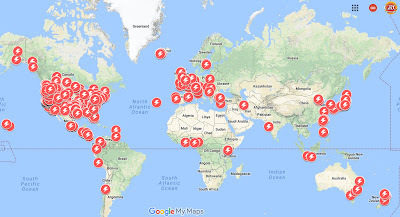 “Making geothermal energy profitable: from subsurface uncertainties to viable business models"
Not one single country or energy company can avoid this question: what role will sustainable energy play in our future and how can we shape the transition? The crossover from oil & gas to geothermal energy may play a key role in the journey towards sustainable use of the subsurface and a greener energy world. 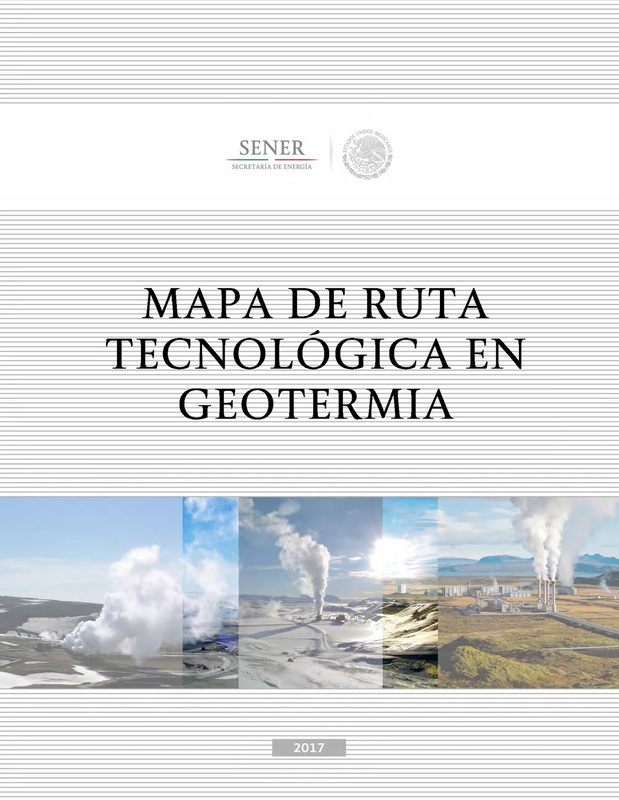 Yet, uncertainties on profitability and the establishment of viable business models are hindering the large-scale development of geothermal energy, especially in areas located in sedimentary basins where the geothermal gradient/ heat flow are relatively low compared to magmatic areas that comprise more traditional geothermal targets. Behind these questions lie fundamental challenges related to developing a deeper understanding of subsurface uncertainties, safe and cost-effective development and integrated systems. Can we exploit the hot rock beneath the earth's crust for electricity? Peter Gibbs reports from Cornwall and Tuscany. The heat contained in the top 3km of the Earth’s crust could power the planet thousands of times over. Despite that, less than 1% of the world’s electricity comes from geothermal energy. That may be about to change. Near Redruth in Cornwall a 3 mile deep hole is being dug- it will be the deepest in the UK. Cold water will be pumped down to the 200 degrees hot rocks below, the hot water returning will drive turbines to provide electricity for thousands of homes. Nearby, the Eden Project and the seawater lido in Penzance are building their own geothermal plants. But Cornwall is just the tip of the iceberg. Geothermal electricity was first produced in 1904 at Larderello in Tuscany. Today Enel Green Power supply a third of the region's electricity from natural steam and they have plans to get much bigger, exploiting an extraordinary bit of chemistry. When water goes above 374 degrees centigrade and 221 bars of pressure it becomes a supercritical fluid. This contains five times as much energy as 200 degree water, transfers energy twice as efficiently and has a lower viscosity. Overall, you can theoretically get ten times more energy than from a similar conventional borehole. This video captures the arrival and construction of the Geothermal Engineering Ltd drilling rig to be used as part of a pilot scheme to demonstrate the technical and commercial viability of supplying both electricity and heat. DEEP is developing Saskatchewan’s geothermal resources for power generation. Using its geological expertise and first-mover advantage, DEEP will harness high quality geothermal resources with existing technology to establish a long term renewable baseload power supply. DEEP’s long term goal is to develop hundreds of megawatts of baseload power facilities from small repeatable 5 megawatt (MW) power plants. Each 5 MW facility would power approximately 5000 households. DEEP has secured a Power Purchase Agreement (PPA) contract with SaskPower. 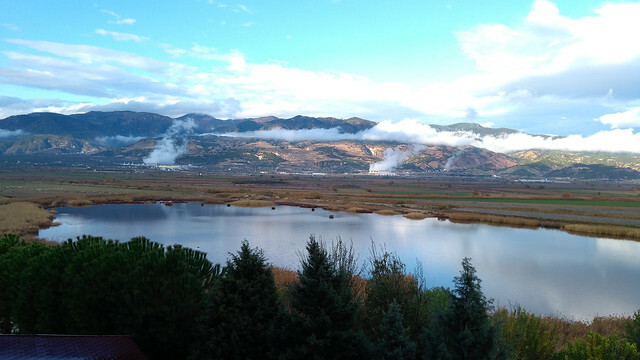 This is the first PPA in Canada issued for a geothermal power facility. DEEP is underway with a ~$8M Bankable Feasibility Study with the first of 3 Milestones now complete. DEEP is now underway with Milestone 2, which includes the drilling and testing for production, and injection zone viability. Final testing and reservoir modelling from the program will refine the assumptions made on the resource in the Prefeasibility Study and effectively outlay the best design parameters for what will be Canada’s first geothermal power generation facility. This image was acquired on November 26, 2018. From science museums to the big screens at Times Square, NASA’s latest Mars landing captivated the country Monday afternoon. As the InSight spacecraft touched down on the Martian surface, cheers erupted from inside Mission Control. The same thing happened in a tiny corner of Golden. “It was when it got down to about 80 meters that my heart started going faster and faster,” Paul Morgan said. Morgan is the senior geothermal geologist at the Colorado Geological Survey at Colorado School of Mines. He helped design one of the instruments that will be used for experiments on the lander. Morgan began designing the probe in 2003. At the time, he says he did not know that it would ever fly on a mission. The instrument he helped design is called the Heat Flow and Physical Properties Probe, better known as HP3. It includes a self-hammering nail about a foot long and an inch in diameter that will penetrate Mars’ surface and collect temperature readings, as well as a tether that will also measure the temperature of the Martian soil. With the recent launch of geothermal drilling programmes in Djibouti – specifically in Fialé – exploiting this potential will soon yield returns. This exploration is enhanced by the involvement of multiple stakeholders, both technical and financial. 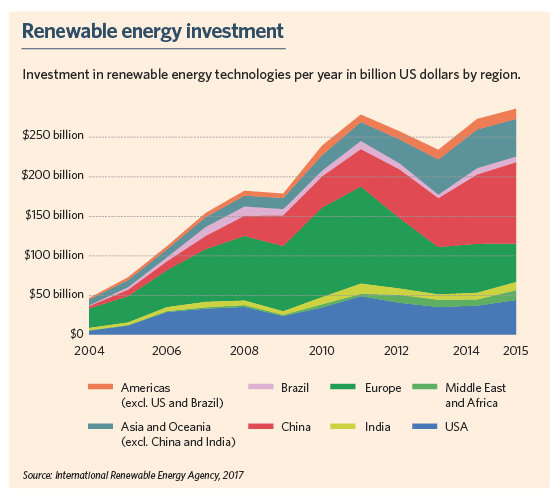 The World Bank, the African Development Bank, the French Development Agency and many others actively participate in the transition to clean energy. Given the amount of financing that goes into all phases of geothermal development, international involvement is vital to the industry’s success. Djibouti has a natural geothermal capacity of between 600 and 1000 MW. As part of its 16th economic package, the Government of Indonesia (GOI) announced on 16 November 2018 that in order to attract further foreign investment, it intends to relax the restrictions on foreign direct investment (FDI) in certain business sectors. 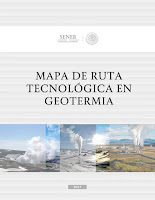 There is no change in respect of geothermal power generation of up to 10 MW (maximum of 67 percent FDI) and testing and analysis of electrical installation of low/medium voltage power generation and utility installation (reserved for domestic investment). The assets to be covered by the consultancy work will include proposed privatization packages for the Unified Leyte geothermal plant and Mindanao 1 and 2 geothermal power plants. With the aid of a third party consultant, state-run Power Sector Assets and Liabilities Management Corporation (PSALM) will rework divestment packages for its remaining energy conversation agreements (ECAs) or supply contracts with independent power producers (IPP). The company is dangling P22.6 million as professional fee to the proposed consultancy services that will be drawn up for the specified power assets. This will be integrated in the state-owned company’s 2019 budget. The assets to be covered by the consultancy work shall include proposed privatization packages for the Caliraya-Botocan-Kalayaan (CBK) and Casecnan hydro facilities; the Unified Leyte geothermal plant; Mindanao 1 and 2 geothermal power plants and the Mindanao coal-fired power facility. Shares of Energy Development Corp. (EDC) of the Lopez Group will be delisted from the Philippine Stock Exchange on Thursday. The PSE said its board approved EDC’s petition for voluntary delisting from the official registry of the exchange effective at the end of business hours on Nov. 29. The trading of EDC shares is currently suspended due to the company’s failure to comply with the 10-percent minimum public ownership requirement. EDC on Sept. 19 filed with the PSE a petition for voluntary delisting following the approval by the company’s board of directors and the acquisition, through the conduct of a tender offer, of up to 2.04 billion EDC shares. EDC on Oct 30 completed the tender offer that saw a total of 2.01 billion common shares bought for P7.25 apiece. This announcement is made by Beijing Enterprises Clean Energy Group Limited on a voluntary basis. The exploration right of the Kawu Geothermal Field covers an area of approximately 105 square kilometres. The surface water temperature in the boiling spring area ranges from approximately 62°C to 86°C and there are more than 100 springs surrounding by rich sulphur, salt frost and large travertine. Based on the geological structure and geochemistry preliminary analysis, it is estimated that the geothermal pay zone of the Kawu Geothermal Field might be at depth from 1,500 to 2,000 metres with possible temperature ranges from approximately 170°C to 240°C. The field has the characteristics of shallow burial depth of geothermal energy resource and abundant groundwater, which are supportive for the geothermal fluids collection, and is one of the developing regions with the best geothermal energy resource potential in the Tibet Autonomous Region, the PRC. According to the "Validation Survey Report of the Proposed New Geothermal Energy Exploration Right in Kawu, Sa'gya County, the Tibet Autonomous Region" dated 10 September 2018 prepared by the Bureau of Geologic Exploration and Mineral Development of the Tibet Autonomous Region, the PRC, the Kawu Geothermal Field has an estimated power generation potential of up to approximately 80 megawatts, representing a larger scale potential geothermal energy development project in the PRC. DEEP Earth Energy Production Corp. (DEEP) is pleased to announce that it has commenced drilling on the first well for its geothermal power facility, located in Southeast Saskatchewan. This drilling is required as part of the final construction engineering for a 5 megawatt (MW) power facility. Final testing results from the drilling program will refine the assumptions made on the reservoir and effectively optimize the design parameters. This will be Canada’s first geothermal facility and will be a transformative energy innovation for the Saskatchewan. Members of the GRC can now vote for no more than 13 candidates. All ballots must be "Submitted" and "Confirmed" by 11:55 p.m. on November 30, 2018 - this Friday. All GRC members should have received an invitation to vote online or by mail. Camilo Matiz, expert in Geomatics at the Colombian Geological Service will be a speaker. He has an expertise that is a standard for information in Geothermal!! on Science and Society, Siena, Italy. (From Google Translate) Currently, about 90% of Italians say they are in favor of renewable energy, but in fact more than ¾ of the claims in the energy department on the national territory blocks the clean source. Can social psychology help us understand this apparent contradiction? "The tradition of research in social psychology can certainly help to better understand attitudes and ideas, which may appear contradictory to the non-expert public in the field. Even if each specific case deserves to be analyzed for the peculiarities related to the place, the context and the needs of local communities, an analysis attentive to the arguments put forward by the public involved can result in some unexpected positions that can contribute to finding new solutions in the field of renewable energy. The public must be listened to through instruments that are sensitive to the needs of the communities. If the Italians declare themselves in favor of renewable energy but the use of clean sources is then challenged, we are facing a situation of uncertainty. We will announce the opening of discounted hotel room reservations shortly and information on the Call for Papers will be made available before the end of the year. A University of Missouri (MU) researcher is testing whether geothermal heating systems can be used to reduce utility costs for turkey farmers -- a move that eventually could lower the price of Thanksgiving dinners. Underground heat pipes have been installed at a Cooper County test farm this summer. It’s the first application of a geothermal energy system in a commercial livestock operation, said Yun-sheng Xu, an associate research professor in MU’s College of Engineering. Geothermal systems use the soil’s constant temperature of 55 degrees to 65 degrees to regulate the temperature of water that flows through buried tubing. The water transfers the ground’s heat into the building in the winter. Xu’s design was cheaper to install than traditional geothermal units because the pipes were buried horizontally. Traditional geothermal systems that rely on tubes to be laid vertically require deeper -- and more expensive -- digging. The Nevis Island Administration says the geothermal project on the island remains stalled as they continue to try to find means to fund the production of the renewable energy. Premier Mark Brantley speaking at a press conference Tuesday said some $50 to $60 million dollars would need to move the project forward. The Premier said two sources for financing have been identified but that process might take several months to materialize if at all. The GRC has generously provided 8 pages from the latest issue for free! However, the full issue is 58 pages and available to download for GRC Members only. In this issue, there is an article on using Play Fairway Analysis to discover geothermal resources in western Nevada, a description of the geothermal heating system at the Peppermill Resort Spa & Casino in Reno and 19 pages of geothermal news from around the world.